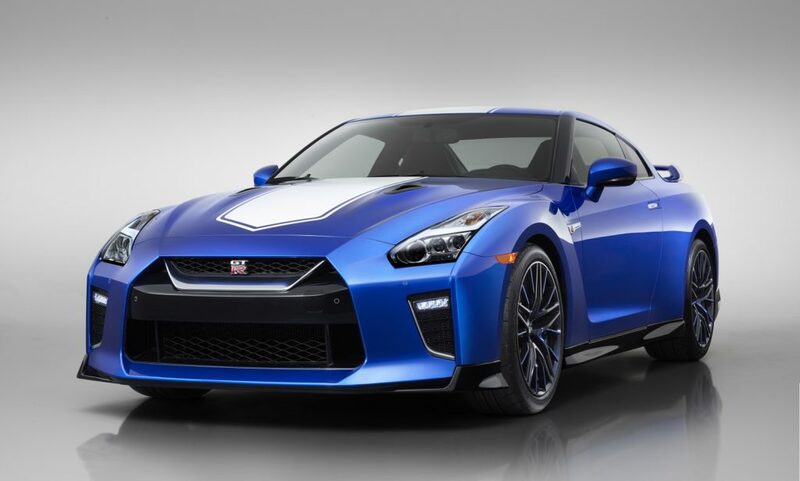 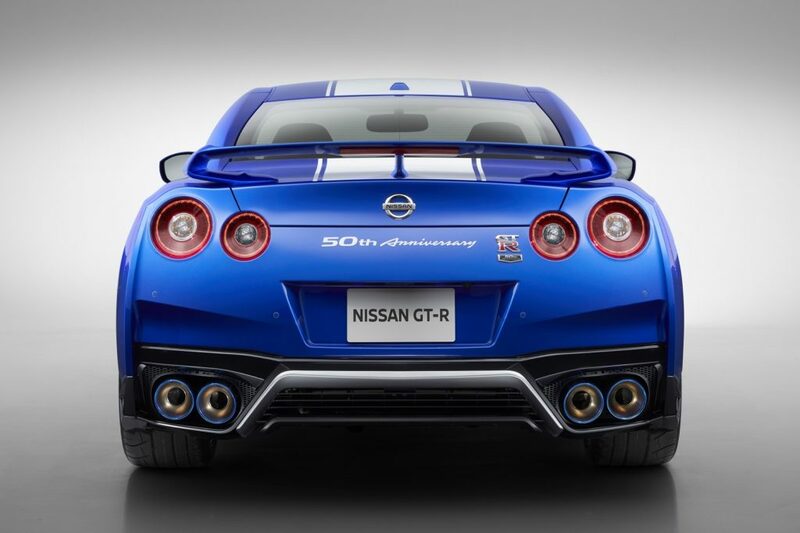 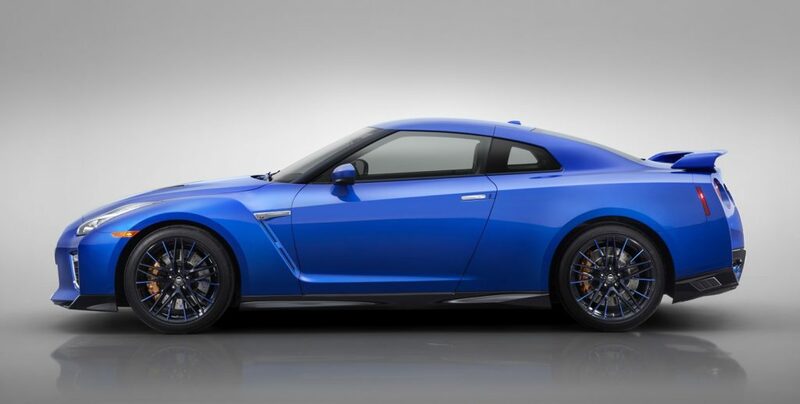 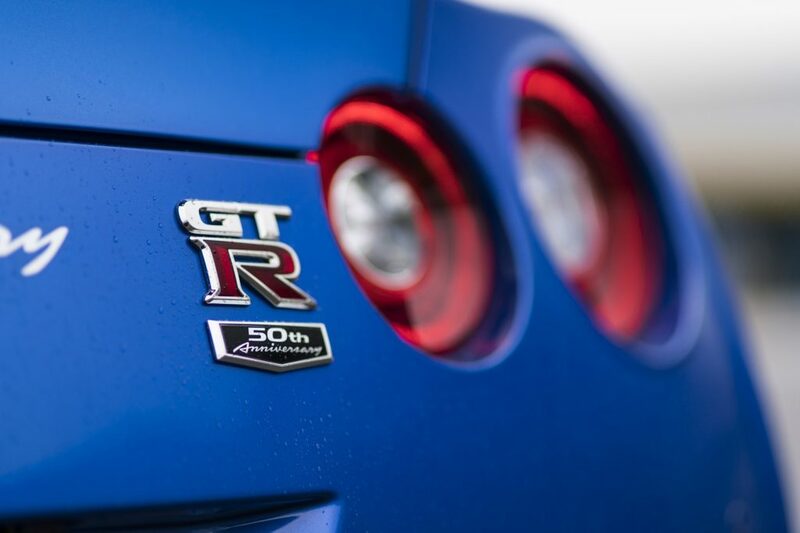 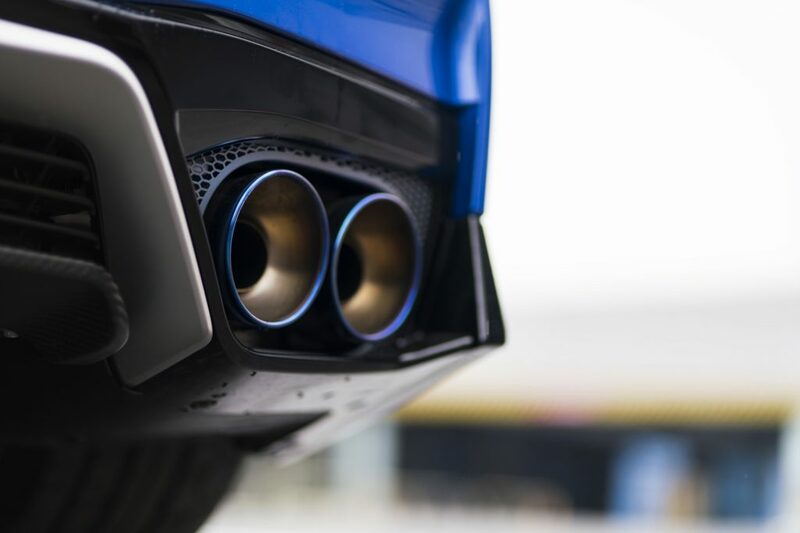 In addition to the 370Z 50th Anniversary Edition, Nissan has unveiled the 2020 Nissan GT-R 50th Anniversary Edition at the New York Auto Show. 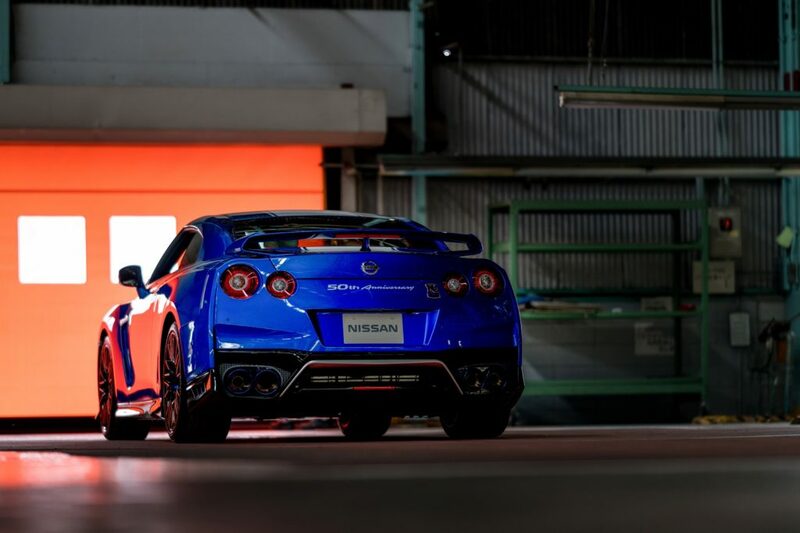 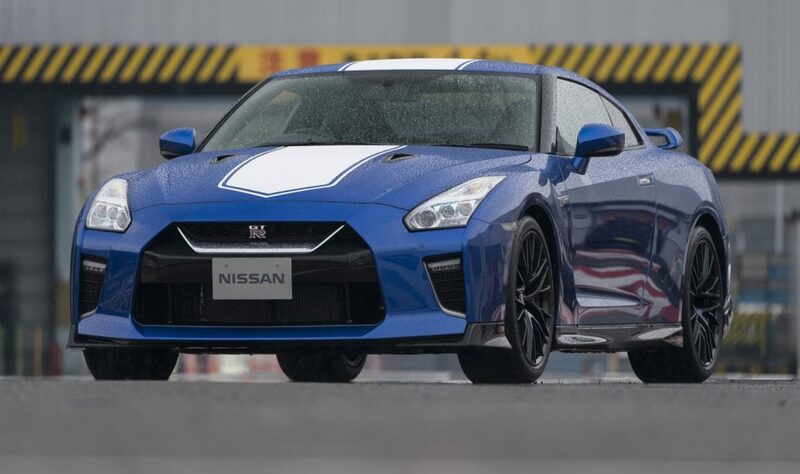 Just like the 370Z, the Nissan GT-R 50th Anniversary Edition is painted in unique livery that is inspired by the past. 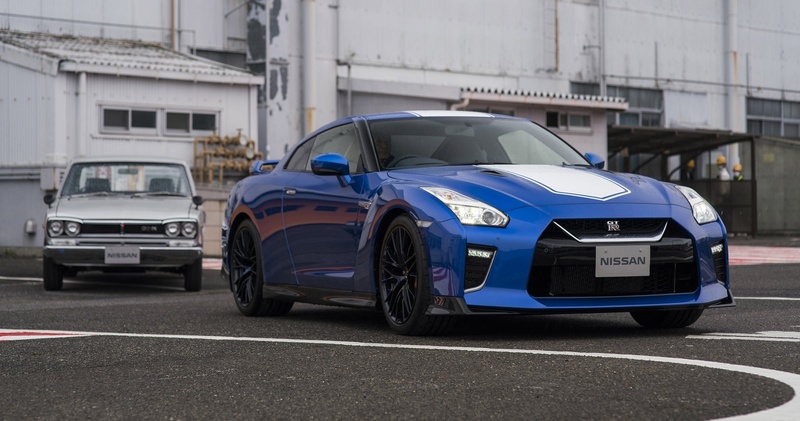 The special GT-R will come in three two-tone exterior color combinations that are inspired by the GT-R’s liveries from the Japan GP series. 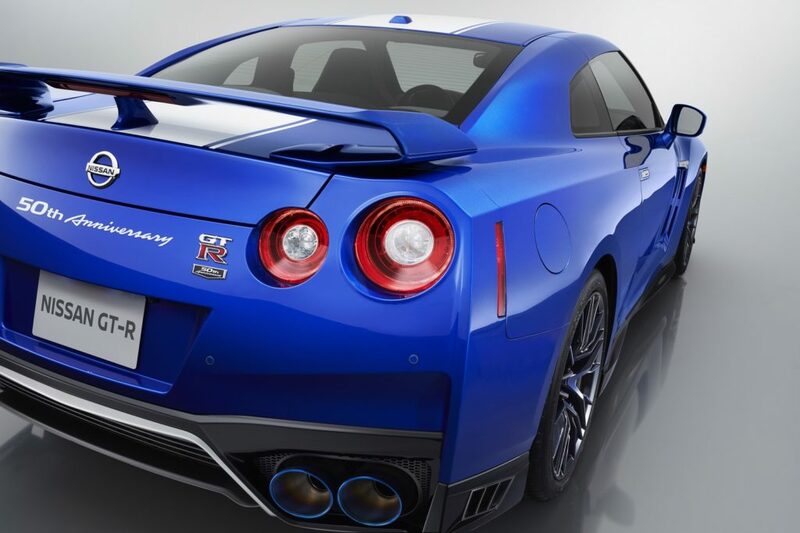 The most special livery is the Bayside (Wangan) Blue, which hasn’t been used since the GT-R “R34” model. 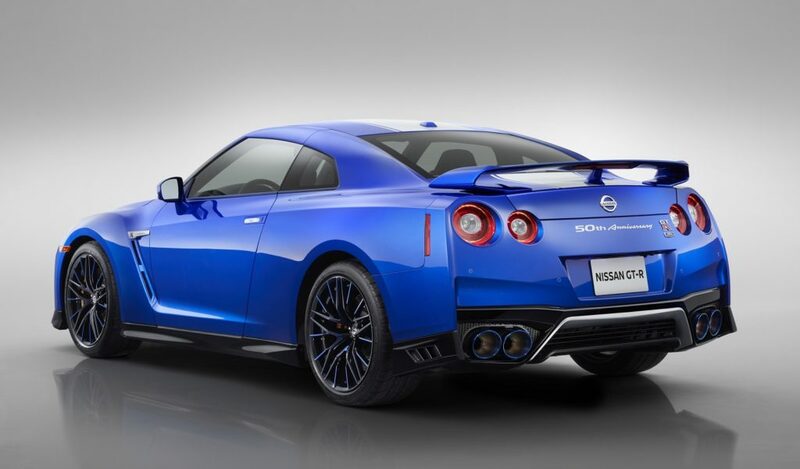 It also features white stripes and blue accents on the wheel spokes. 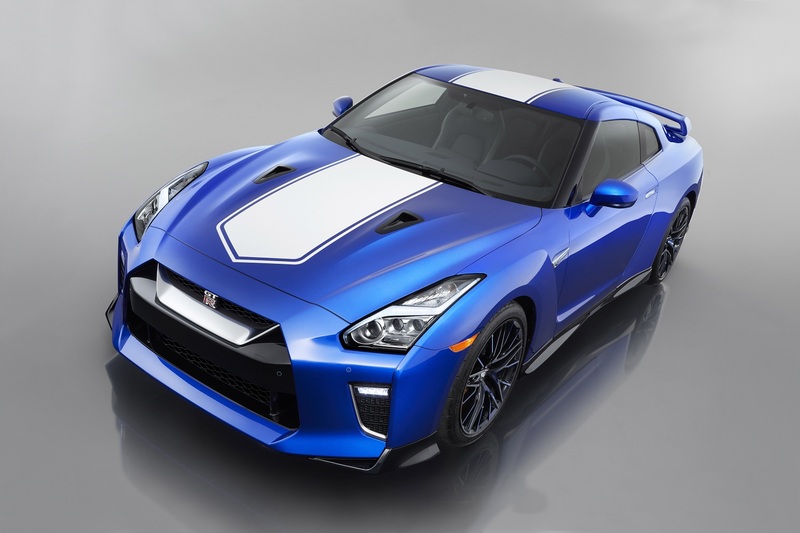 The other two color options are Pearl White with red stripes or Super Silver with white stripes. 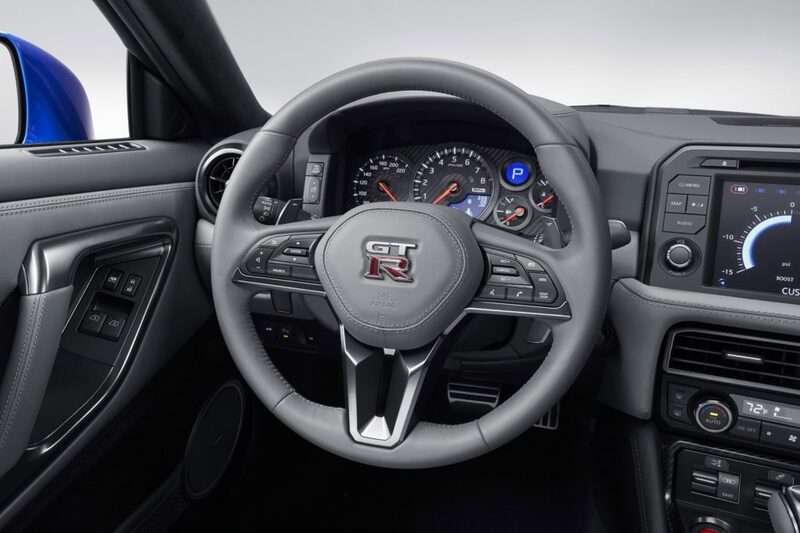 Inside the GT-R 50th Anniversary Edition features a special gray interior color scheme. 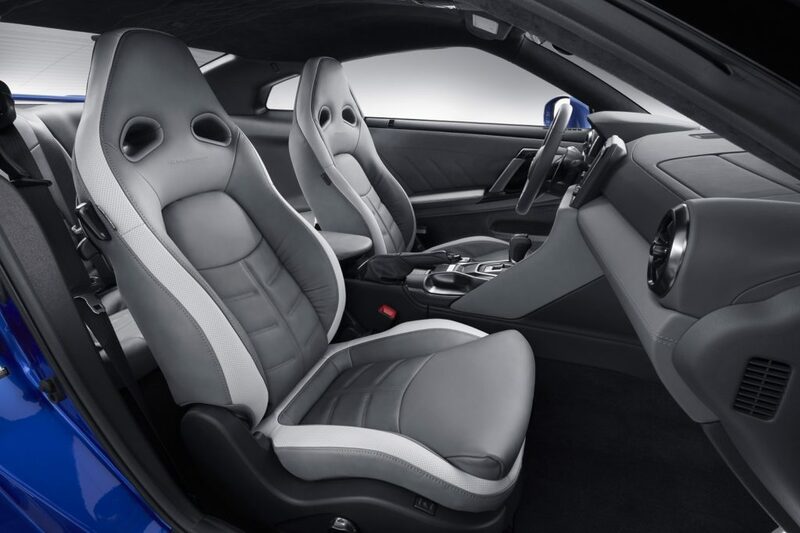 It also gets a unique steering wheel and shift knob trim, special embossed seats, an Alcantara headliner with unique stitching, and Alcantara-wrapped sun visors.